HYDROmate allows you to solve hydrology and hydraulics problems in the field or office using the HP48 handheld computer. The software features easy to use pull-down menus for performing SCS' TR-55 method hydrology. HYDROmate interfaces with the PLANIX 5000 and the USHIKATA-360 planimeters to automatically enter the measurements of areas and Tc paths directly into the HP48 for processing. HYDROmate is designed to permit the downloading of data files from the HP48 into a PC for processing or archiving. Data files can be viewed on the screen of the HP48 or printed in report format to a serial printer. HYDROmate allows you to create an unlimited number of drainage areas within a file. There is also no limit to the number of subareas and Tc path segments per drainage area. HYDROmate saves time and prevents mistakes by eliminating the use of SCS tables for the selection of CN values. The software automatically selects a CN value upon entering soil type and land use. HYDROmate is designed to automatically compute land slopes when you enter the flow length and the land elevations at the beginning and end of each Tc flow segment. You can select from 5 flow types. HYDROmate computes the unit peak discharge, runoff, and graphical peak discharge for the 1, 2, 5, 10, 25, 50, and 100 year storms. This data is computed using predefined rainfall tables customized for your area. HYDROmate also includes HYDRAtools, a hydraulic calculator. HP48 SX or GX with 64K RAM available (SX will require a RAM card). The current version of HYDROmate is 2.01. If you have an earlier version see UPDATES for information on ordering the latest version. Copyright © 1996, 1998 RAMSS Inc. All rights reserved.  HYDROmate, HYDRAtools, and the RAMSS logo are trademarks of RAMSS Inc. HP48 is a trademark of Hewlett Packard. Planix 5000 is a trademark of Tamaya Technics Inc. Ushikata 360 is a trademark of Ushikata Mfg. Co. Ltd.